Turbine Turbulence: Can’t They All Get Along? It takes more than wind turbines and steady breezes to create an efficient wind farm. According to researchers at Sandia National Laboratories, wind direction, speed and interactions between the wind turbines can have a marked effect on the cost of wind energy. Currently, the lab is constructing a facility—called SWIFT, for scaled wind farm technology— in Lubbock, Texas, that’s uniquely designed to study these turbine-to-turbine interactions. Constructed in partnership with Texas Tech University, the research site will consist of three turbines, two heavily modified Sandia V27s, and one 300-kilowatt, V27 research turbine built by Vestas. The turbines will be strategically placed in a sort of triangle, with the first two turbines spaced three rotor diameters apart, perpendicular to the oncoming wind, and the third turbine five diameters downwind. The purpose of the SWIFT project is to find new ways of lowering the cost of wind energy by maximizing the output of a wind power plant rather than a single turbine. 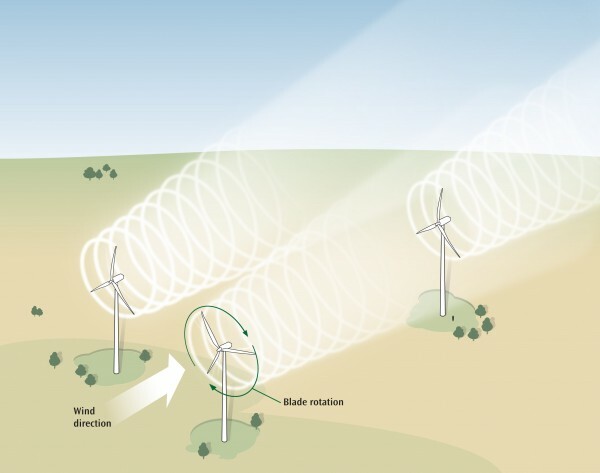 In this sense, the project recalls work done at Caltech, where researchers have been exploring the possibilities with vertical-axis wind turbines after recognizing that traditional horizontal-axis turbines are less efficient because they create wakes that disturb the turbines around them. Vestas hopes to use the research site as a technology accelerator to rapidly and cost-effectively facilitate marketplace innovation. Vestas is also interested in improving wind plant performance, rather than concentrating on a single turbine’s output. Researchers say the site eventually might expand to include nine or more wind turbines, which would allow further examination of how individual turbines and entire wind farms can become better “citizens of the grid” and how to be more productive and collaborative. White said the team hopes to have the SWIFT facility operational by October.